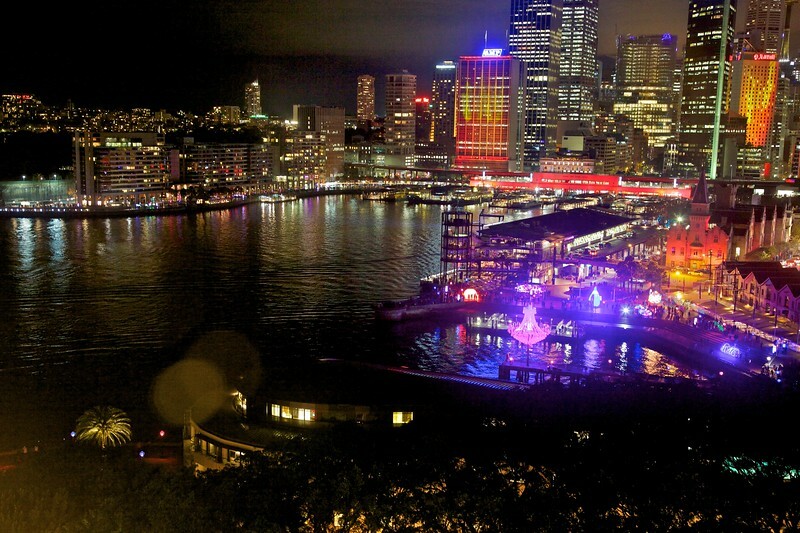 The colourful displays around Circular Quay for the 2012 outing of Vivid Sydney. A view across Circular Quay where a large bulk of the displays was situated. 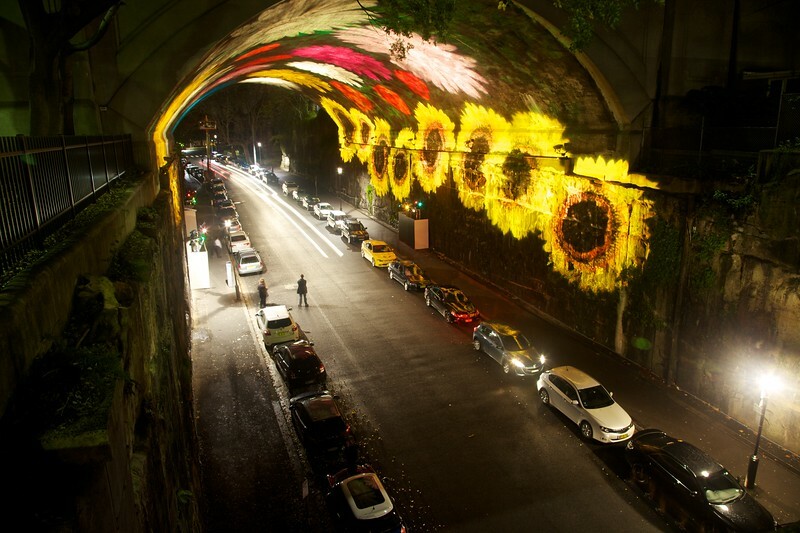 An ever-changing projection of flowers inside the Argyle Cut. 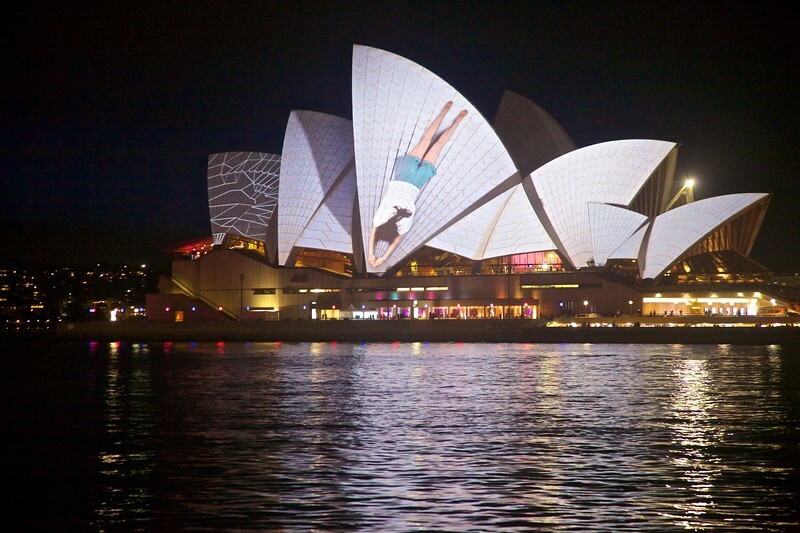 Some of the surrealist projections on the Opera House. 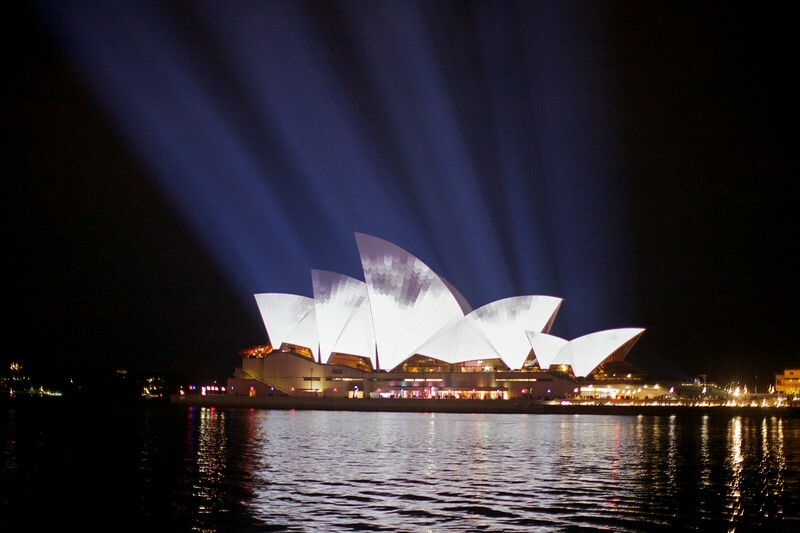 Beams of light cast by massive projectors on the Overseas Passenger Terminal onto the Opera House. 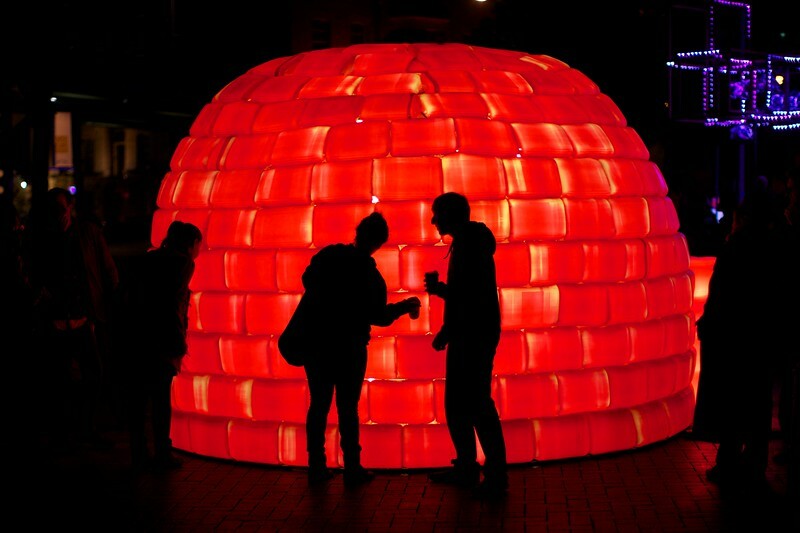 Visitors examine a big red plastic igloo. 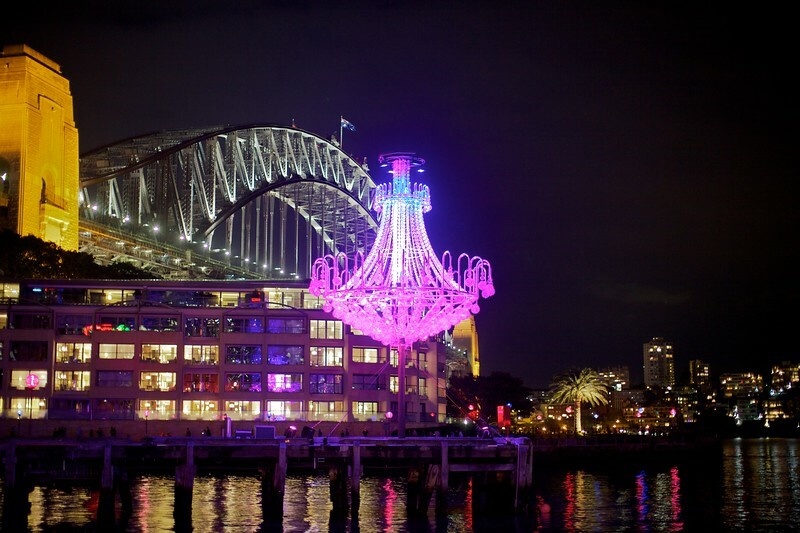 A magenta chandelier in front of the Park Hyatt Hotel. 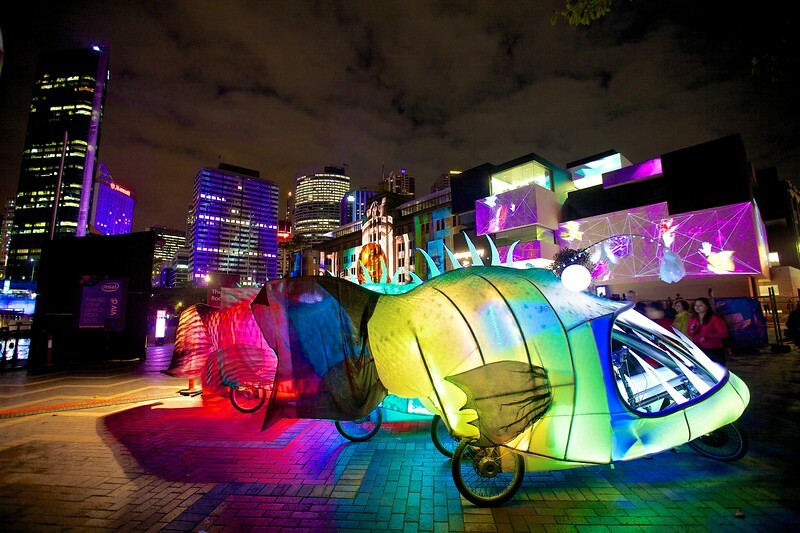 Ethereal fish on tricycles were frequently moving around the Circular Quay area during the Vivid Sydney festival. 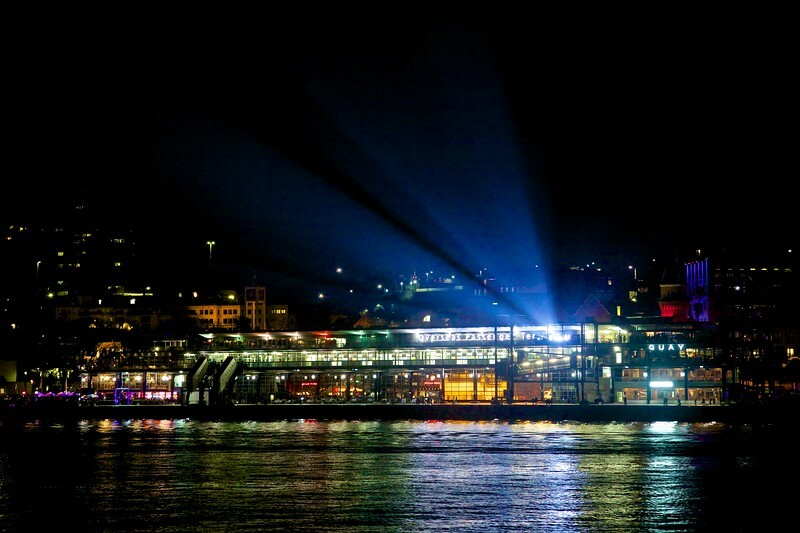 This view across Circular Quay from the Opera House lets you see the projectors installed on the Overseas Passenger Terminal. 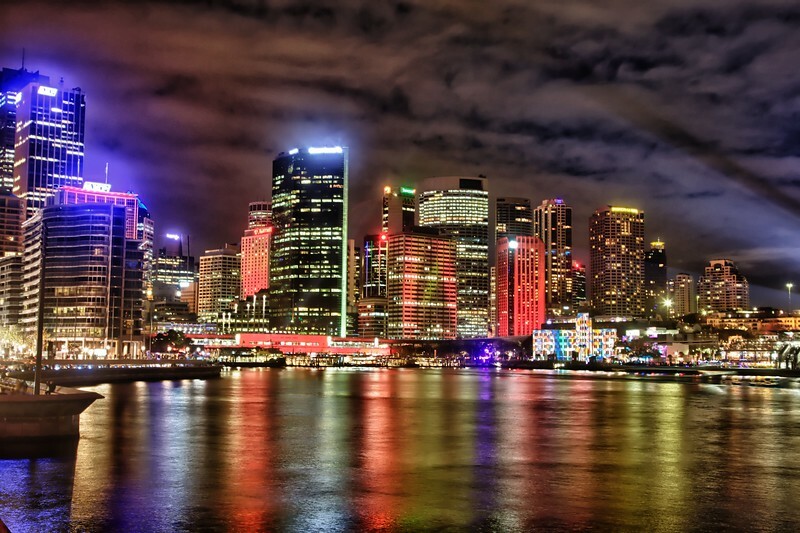 Many of the buildings around Circular Quay were involved in light displays.